TVS Motor Company has unveiled the marketing campaign for its new scooter – TVS NTORQ 125. The 360-degree campaign includes print, digital medium and will debut with a TV commercial during the IPL cricket season. Designed for the youth, TVS NTORQ 125, is a stylish scooter, deriving its performance from the TVS Racing pedigree. The scooter also marks the launch of an exclusive technology platform – TVS SmartXonnect – making it India’s first connected scooter. The scooter packs in further surprises when the speedometer indicates an incoming call courtesy TVS SmartXonnect* – an innovative Bluetooth-enabled technology which is paired to an exclusive NTORQ mobile App boasting of 55 features including navigation assist, incoming call alert, top speed recorder, last parked location assist, among others (Taste a bit of tomorrow). Finally, we see the rider speed past a group of people who are amazed at this scooter which brings together the best of style, performance and technology (Smell the envy). The film closes with the voice-over indicating that “open your senses to TVS NTORQ 125”. 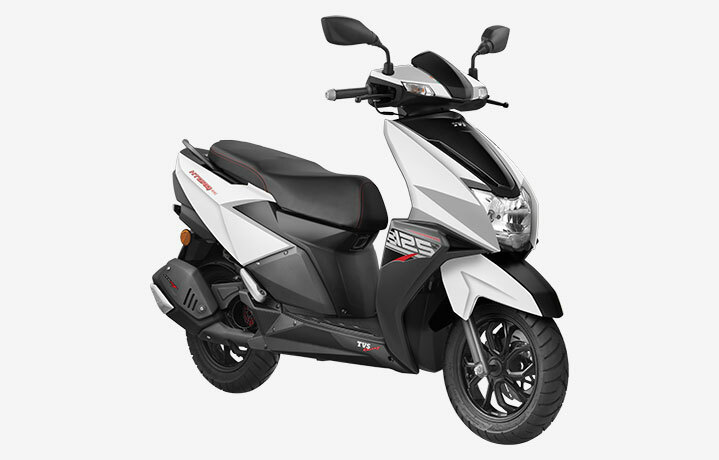 TVS NTORQ 125 is a stylish, sporty performance-oriented, technology loaded smart scooter designed specifically for the GEN Z youth of India. From the get go, TVS NTORQ 125 has evoked a strong desire from its intended TG. The TVC seeks to convey the awesome near multi-sensorial experience the rider gets where he enjoys a ride on the TVS NTORQ 125. We are confident that this campaign will open a space in the GEN Z rider’s heart and life for the TVS NTORQ 125. True to the performance packed and stylish DNA of TVS NTORQ 125, we have created a television film that will provide a true sensorial delight to our audience. When we first saw the TVS NTORQ 125, we were enthralled with the product, and that very sense of awe trickles into the storytelling of the film which asks the audience to open all their five senses to the scooter – for it is a product to be experienced! With Gen Z on a constant look out for new and exciting, we believe the film’s direct approach will truly create a sense of intrigue for the product. said Samrat Chengapa, Senior Vice President, Dentsu India Pvt. Ltd.